This week’s EW not only has the unstoppable Melissa McCarthy on the cover, it also features a first look at Frankenweenie. There’s something very important on the other side of that fence, but I can’t tell you what. You’ll have to wait until the movie comes out on October 5, 2012. Yes, a year from now. Stop-motion animation takes a bit. 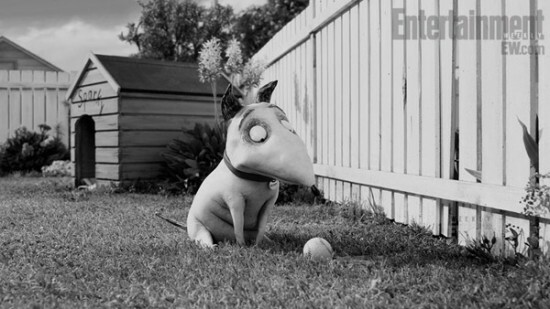 By the way, back in 2007 when I denied I was writing Frankenweenie, that was true. Tim Burton asked me to write it in September 2008, and most of my work on it was finished back in 2009.